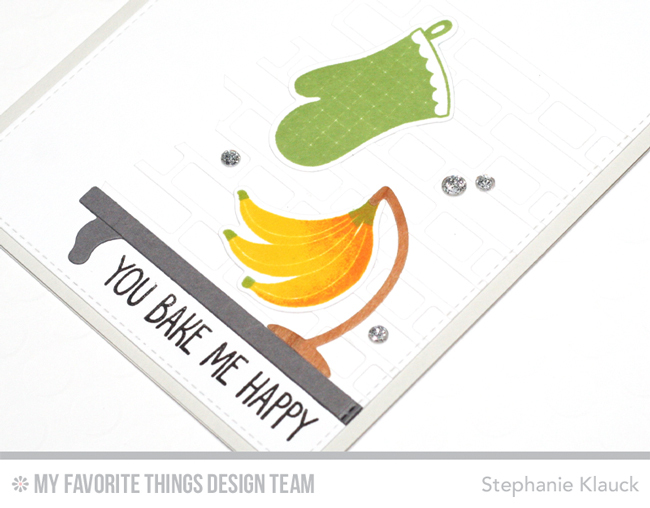 Round Here: MFT November Card Kit Release! MFT November Card Kit Release! 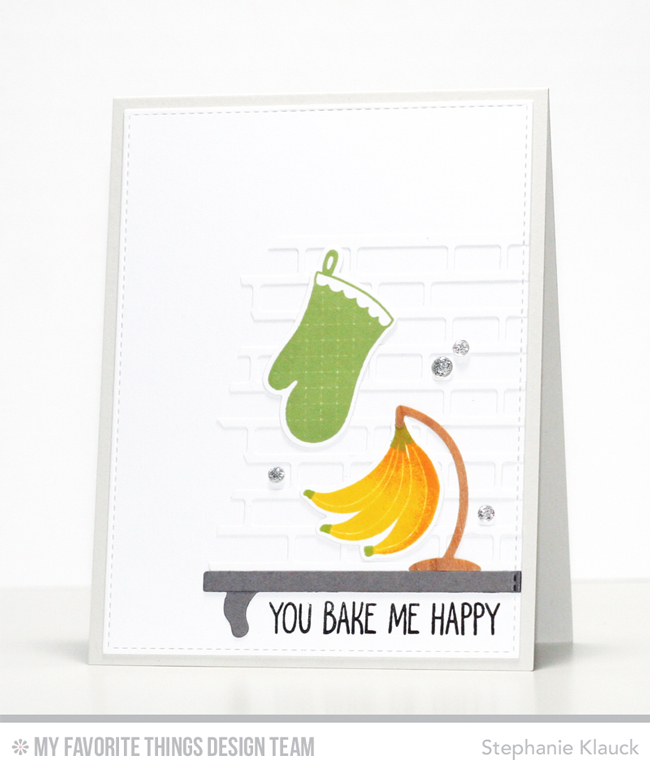 Hello and welcome to the release for the November card kit - Kitschy Kitchen. This kit is so original and fun and includes some great kitchen themed stamp sets (and dies), 8 ink cubes and 12 sheets of cardstock. And it is officially available for purchase at mftstamps.com! For my card tonight I used the bananas again (I love the bananas lol!!) and I cut out the banana hanger from the MFT Cherry woodgrain paper. I love how realistic it looks! I stamped the sentiment directly under the shelf and then I added some clear sequins onto the card front for some added detail and dimension. Love the subtle background with the brick wall, well done! This kit is so fun! Love your scene w/a brick wall and shelf! It's fabulous! Great card. Love all the texture and design. Love the brick die cut that you added in the background. Lovely card. Very cute. I like the banana hanger and how you colored the bananas and the brick wall. Love the brick design in the background. Stephanie--great card! I love it when I look at a card and wonder how a person did it! 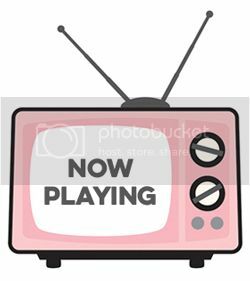 Your brick background is genius! I love the Cherry Banana hanger, too. Awesome card, very simple but so beautiful. Great card. I love the bananas. And your background is awesome. Great brick wall and banana hanger! Fantastic card! I love the portion of the brick wall you added! This kit is so awesome! Love your card & the clever design!